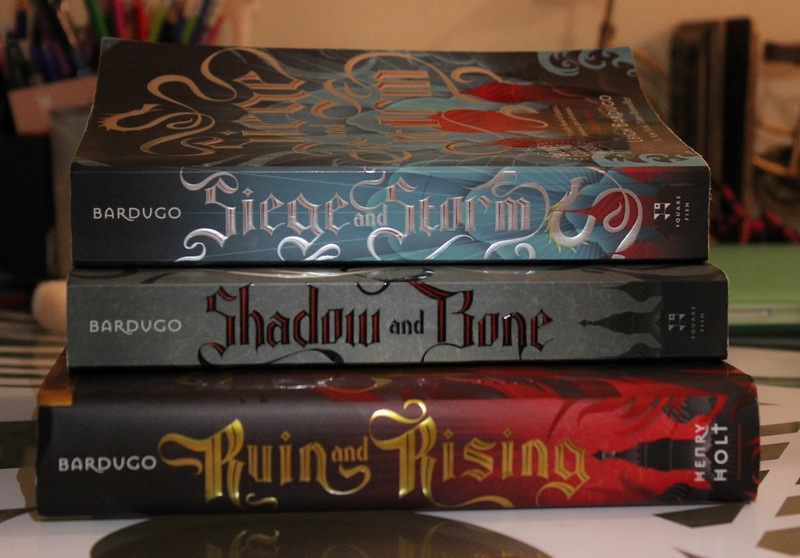 The Shadow and Bone series – Djenne G.
So for books 12 to 14, I’ve read the Shadow and Bone trilogy by Leigh Bardugo. It was a good read but a lot of the time I wanted to punch the main character in the face. It was written pretty well. I’ve become really critical when I read and this book brought it all out but it was a pretty good read. As always, I have questions after reading a book. I really want to understand Morozova and his amplifiers…I will give this book a 3.5 out of 5. This book was very good and interesting to read. I definitely enjoyed reading it. I realize now that when I took the picture, I didn’t put the books in order and that is gonna bother me.